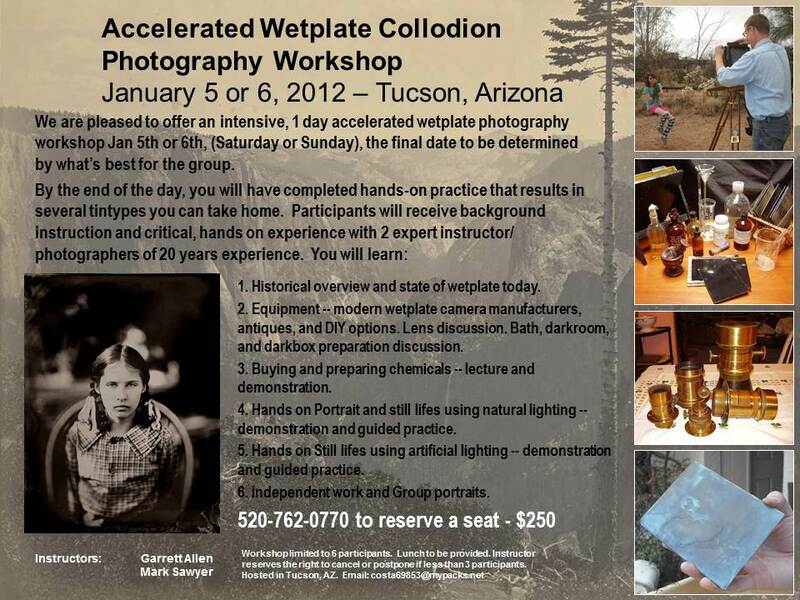 We are pleased to offer an intensive, 1 day accelerated wetplate photography workshop Jan 5th or 6th, (Saturday or Sunday), the final date to be determined by what’s best for the group. By the end of the day, you will have completed one-on-one instruction and hands-on practice that results in several tintypes you can take home. 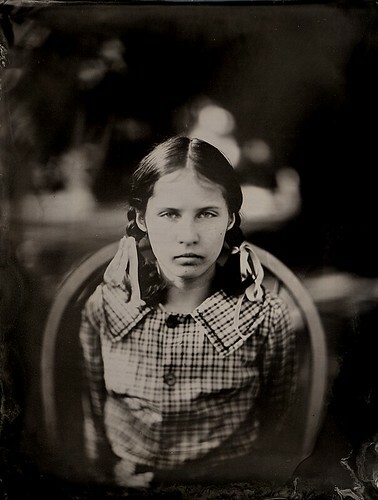 You will have enough background information and critical experience with experts to continue with your wetplate journey. All materials and lunch to be provided. Location will be an intimate home studio setting, with ample photogenic opportunities. halfplate by Garrett Allen – Instructional Designer whose day job is creating training for aerospace and high tech customers, he’s been shooting wetplate for over 5 years and has written several guides and facilitated several wetplate learning events. 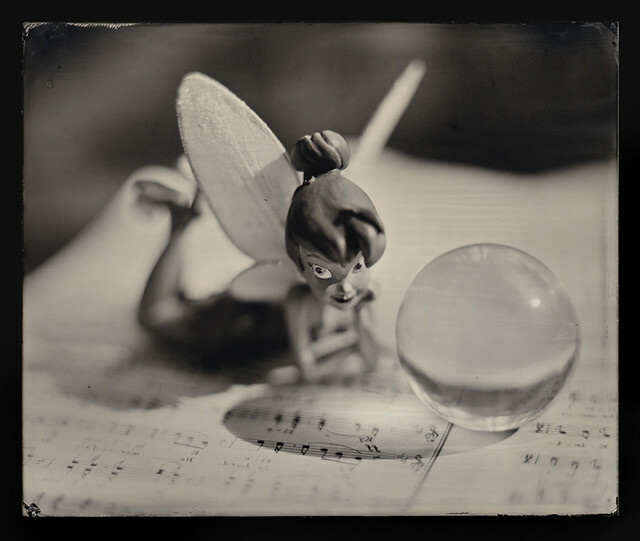 5x5 by Mark Sawyer – retired Photography instructor, has been working on the acclaimed Tinkerbell series of wetplates the past year. $250 - Call 877-829-7677 to reserve a space and give your date preference. One slot remaining, call or PM if interested. We had a great workshop and some very nice plates made. Pictures here, and contact me for future offerings of this one-day "quick learn."